A labour contraction can’t fully be replicated, but we have tried to give you a taste.... trial a light hearted challenge to gain a minor insight of the experience we go through during labour. From bump to birth you will undergo funny activities wearing a weighted bump and try out your pain threshold with our Labour Pain simulator. Show your support in their pregnancy by trying to understand some of the challenges that occur... Could you be pregnant for a day? 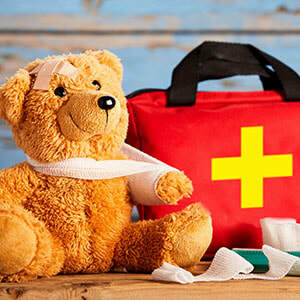 It's a frightening concept to think your child may need emergency aid, but learning first aid will give you confidence in carrying it out should the need arise! This short course has been designed with parents and carers in mind, to guide you through exactly what you need to know. What is covered within our Baby First Aid course? Would you like to see your baby in Virtual Reality? 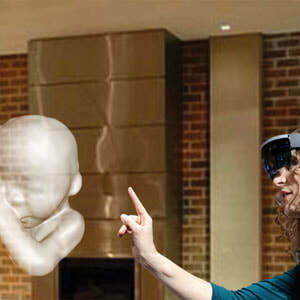 Put on our Hololens headset and view your scan photos in in 3D experience, share with friends at your baby shower or when you visit our centre.